Santa Maria has historic wineries that not only influenced the wine world but also shaped the city into the popular place it has become today. 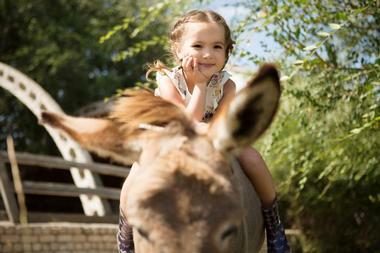 Family may want to spend their day at the Santa Maria Valley Discovery Museum or visit the donkeys at Los Flores Ranch Park. Since the city is nicknamed the “BBQ Capital of California”, no trip there would be complete without feasting at one of the legendary dining establishments. The Pacific Conservatory Theatre, popularly known as the PCPA, is a performing arts theater that can be found in the heart of Santa Maria. In over fifty years of service the theater has a vital role in the diverse community, bringing art alive, enriching cultural literacy, and improving the quality of life of the people directly and indirectly involved. Visitors who are in the area, short term or long term, can participate in several initiatives of the PCPA, whether it be attending a performance of Shakespeare in Love or Peter Pan, or participating in one of their professional internships. They conduct several acting camps and study guides throughout the year for aspiring performers of all ages. Presqu’ile Winery is an intimate, family-operated winery that is dedicated to producing delicious cool-climate Sauvignon Blanc, Pinot Noir, and Chardonnay. All of their wines are crafted with grapes from their very own sustainably certified Presqu’ile Vineyard. Stop by their award-winning tasting room which ensures a memorable tasting experience surrounded by stunning vineyard and ocean views. Voted “one of the ten best tasting rooms” by USA Today’s Readers’ Choice Awards, the Presqu’ile winery, vineyard, and tasting room is best experienced on one of their amazing behind-the-scenes tours. The tour spotlights eight limited production wines that’s paired with seasonally-inspired food created by their chef. 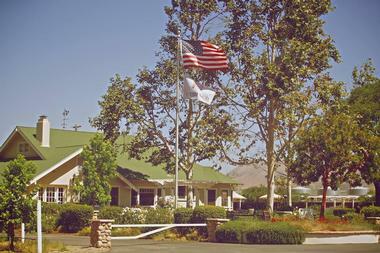 Walk through rolling hills and lush pastures down a picturesque country road to the Rancho Sisquoc Winery. Here, you’re sure to have a relaxing experience as you bask in the sun on the beautiful picnic grounds, chat with the knowledgeable and friendly tasting room staff, and sip on the wonderful wines. You can bring your own picnic or purchase one of their gourmet snack baskets to enjoy outdoors or spend your time in the gorgeous interior of the tasting room. 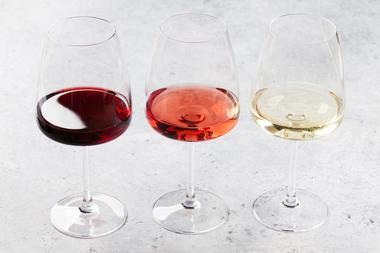 All tastings include your choice of wines and a complimentary stemless logo glass for you to enjoy them from. 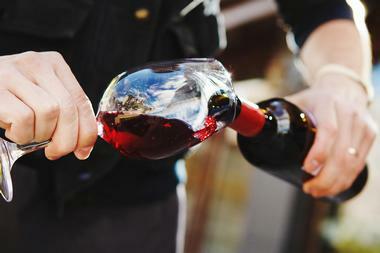 The Foxen Canyon Wine Trail is a thirty-mile road that goes from Los Olivos to Santa Maria. It is home to some of the most accomplished winemakers in the state and the wine trail focuses on promoting and supporting several wineries which craft a diverse array of world class wines. Some of the wineries you’ll visit along the way are the Rancho Sisquoc Winery, Kenneth Volk Vineyards, Firestone Vineyard, Zaca Mesa Winery, and the Andrew Murray Vineyards. Wine trail events includes two annual wine passports: Christmas on the Trail in December and Summer Sipping in June. Each passport includes a goody bag with commemorative wine glass and an opportunity to get “stamped” 20 pours from any of the thirteen wineries. 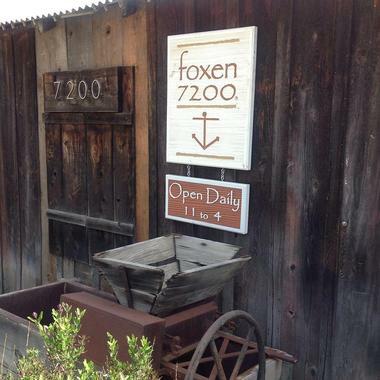 FOXEN Winery & Vineyard is a lovely place to spend a day in Santa Maria; follow Foxen Canyon Road deep into Santa Barbara wine country until you come across the stunning 2,000-acre California ranch. 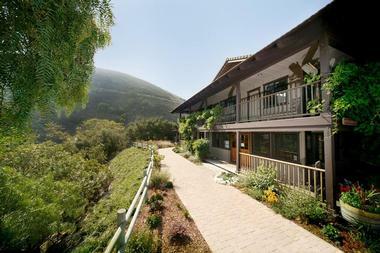 Tours of the winery include a stop at their original location, a look at the state-of-the-art solar-powered winery, and ends in the friendly tasting room. 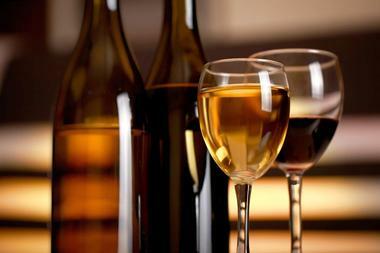 Wines that you’ll be able to try include the foxen 7200, Rhone-style, pinots, whites, library wines, and dessert wines. Events are hosted at FOXEN throughout the year and include musical performances, wine cruises, and much more. 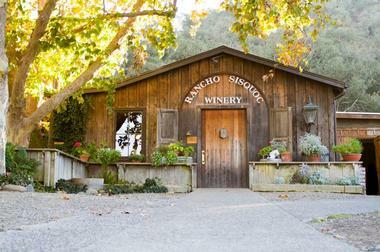 The Riverbench Vineyard and Winery was established in 1973 and initially only grew grapes which other wineries purchased to concoct award-winning wines. Over the years, it became evident that Riverbench should try their hand at crafting their own wines and began production in limited quantities in 2006. You can visit the tasting room in the beautifully-restored 1920’s craftsman-style house and enjoy a delicious glass while looking out over the vineyard. Visitors are also invited to explore the garden, enjoy the horseshoe pit or the bocce ball court, or have a picnic in the lovely surroundings. If you’re in Santa Maria with kids and younger visitors, be sure to include a stop at the Santa Maria Valley Discovery Museum on your itinerary. The non-profit museum was created to inspire the minds of youths, allowing them to explore their imaginations, the world, space, and much more in a safe environment. 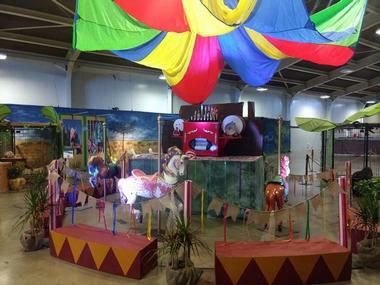 There are 25 exhibit areas in the 13,000 square-foot facility and almost all of them are interactive, letting the kids get hands on. Some of the museum exhibits include the Moxie Cafe, the Discovery Reading Tree, and the Discovery Farms Produce Truck. There are different programs held throughout the week like the popular Passport Thursday which will introduce the kids to different countries and their cultures. Cambria Winery & Vineyards creates vibrant wines that are full of unique flavors which are reflective of their surroundings. Owned and operated by the Jackson family and friends, the professionals at Cambria have a combined experience of over 200 years which they put into cultivating land and crafting delicious wines. Some of their many popular wines include floral chardonnays, fruity pinot noirs, spicy pinot gris, full-bodied syrahs, and a citrusy viognier. Visitors are always invited to visit Cambria, have a chat with the friendly staff, try some of their gourmet cheeses, and walk through their flight of exceptional wines. 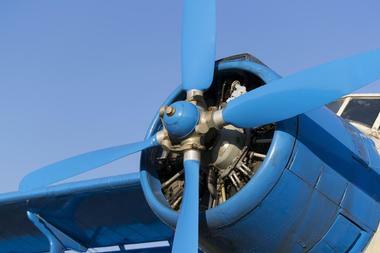 The Santa Maria Museum of Flight preserves and displays documents, photographs, artifacts, and memorabilia on Santa Maria’s aerospace and aeronautical industry. 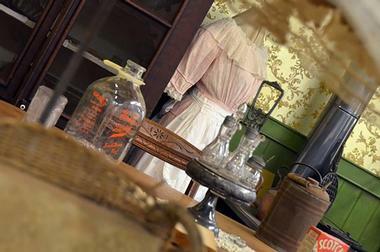 Visitors of all ages will love exploring the many exhibits and attending the events that are hosted at the museum. The Thunder Over the Valley Air Show is one of the most popular events which supports veterans and honors fallen warriors. There are several age-appropriate programs that are held at the museum; one that is extremely popular with kids of all ages is airplane modeling which will allow them to construct and paint their very own model airplane. Kenneth Volk Vineyards can be found situated beside beautiful oak and sycamore trees and alongside the ever-flowing Tepusquet Creek in the Santa Maria Valley. It grew from the passion Kenneth Volk had in creating intricate, luxurious wines; Kenneth himself is somewhat renowned in the wine world and has earned a reputation for creating world-class wines. Stop by and try some of the delicious wines, which are the product of outstanding vineyards with innovative winemaking techniques. Some of the wines they produce are Chardonnay, Pinot Noir, Cabernet Sauvignon, Merlot, and small amounts of heirloom wines from unique sites throughout the Central Coast. In 2001, Marvin and Paulette Teixeira decided to open their very own winery by planting a small vineyard on their cattle ranch. 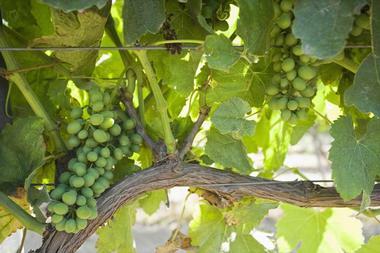 It has grown to produce some of Santa Maria’s most popular wines. 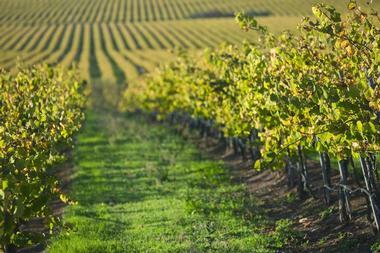 You can visit the winery and vineyard which is still located alongside their operations cattle farm. Their tasting room is a fun and friendly place to try some of their reds and whites such as a sweet and spicy merlot, a deep sangiovese, zesty chardonnay, crisp chenin blanc, and a toasty barbera. You don’t have to miss out even after you leave Santa Maria: join their popular wine club and get notified on all of their latest releases. Open all year long, Los Flores Ranch is a wonderful open space area in Santa Maria Valley that provides the opportunity for visitors to explore the stunning natural surroundings. While they focus on land preservation and environmental education, you can also enjoy their many recreational activities and guided tours and hikes of the lovely ranch. Some of the things you can spend your time doing are visiting the many animals that call the ranch home such as goats, donkeys, and horses. You can also choose to explore the fifteen miles of trails by hiking, biking, or horseback riding. The SMV Historical Society Museum gives you the chance to get to know the people who shaped the Santa Maria Valley through an array of artifacts, photographs, and memorabilia. They collect, preserve, and exhibit many items so that present and future generations will better understand the past of this historic area. All of the exhibits at the museum are portrayed in chronological order, starting with the Chumash Indians who originated there all the way to the 20th century. Permanent displays include ‘Four Men’ which is dedicated to the men who contributed to founding present-day Santa Maria, ‘Old Maude and the Oil Boom’ which displays artifacts from the very first producing well, and entire room that is dedicated to entrepreneur and railroader, Captain G. Allan Hancock. CORE Winery is the brainchild of Dave and Becky Corey, both of whom are passionate wine enthusiasts dedicated to creating the perfect glass. They own and operate the winery and tasting room themselves, giving attention to details from the grapes they grow to the methods they use. You can relax in their tasting room with friends and a glass of 2008 Incubus, 2007 Turchi Super Reserve Cabernet Sauvignon, or 2012 CORE Orchid Hill Syrah. For a more intimate experience, you can schedule a private barrel tasting and bottling with winemaker and owner Dave Corey himself; the experience also includes learning about the artistry of blends, bottling your own bottle of wine to take home, and an addition choice of private lunch or dinner if you choose. The valley’s premier event center, Santa Maria Fairpark is home to a multitude of events and festivals throughout the year. It is most famous for its annual Santa Barbara County Fair, which originally started as the Santa Maria Valley Fair in 1891. The multi-purpose facility brings the community together with events dedicated to tourism, agriculture, commerce, and aerospace. Other popular events that the public is invited to attend include the Annual Santa Maria Valley Strawberry Festival and much more. You’ll find that several concerts, trade shows, conventions, and celebrations are scheduled to take place at Santa Maria Fairpark, especially during the summer months. 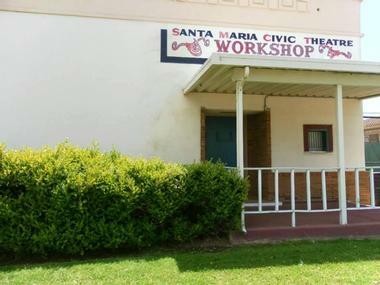 The Santa Maria Civic Theatre was founded in 1959 and was the first organization to provide continuous live theater performances for the community to enjoy. They are one of the longest-running theatres in the area and have produced over two hundred productions since they opened. In the many years that the theatre has been around, they’ve produced plays for audiences of all ages, from fairytales to dramas. Some of the productions from their past include Streetcar, Little Shop of Horrors, and One Slight Hitch. You can do more than just attending a play by getting involved with the theatre, volunteering to be an actor, stage manager, director, set designer, box office personnel, lighting technician, or any other aspect that interests you. The Bien Nacido Vineyards can be found in the heart of the Santa Maria Valley, in one of California’s coolest grape growing climates. The vineyard was first planted in 1973 by brothers Bob and Steve Miller who had a combined vision to develop an elite vineyard to share with the world. Some of the wines that you’ll be able to indulge in while there are their chardonnays, syrahs, and pinot noirs. 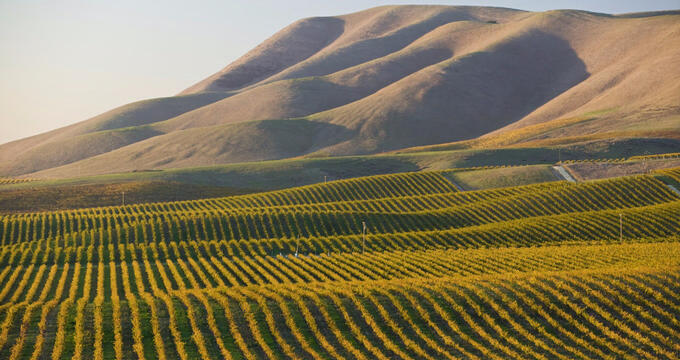 It has won many accolades over the years including ‘Top Five California Vineyards’ by Wall Street Journal and ‘Top 25 Vineyards in the World’ by Wine & Spirits, so be sure to stop by this award-winning vineyard when in Santa Maria. The Central Coast Sports Arena is a public skating rink that is safe and fun for people of all ages. The rink is open to the public at certain times throughout the week; stop by with friends to skate to fun music under laser lighting and to eat delicious foods. If you’re in Santa Maria for an extended period of time you may want to consider joining one of their youth or adult hockey leagues. 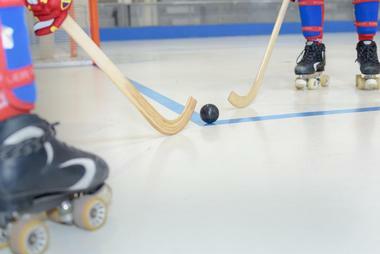 They have a Hockey 101 class for first time hockey players who want to learn from the ground up; once you get a bit of practice you can join their Hockey 102 class which focuses on having fun while being competitive. The only legal paintball field in Santa Barbara County, the Shack Paintball Field is a fun way to spend the day. 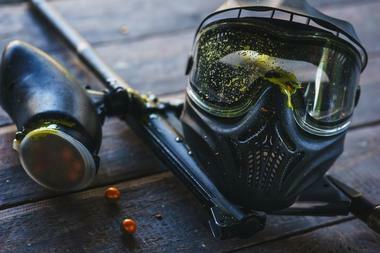 The excitement is endless as you shoot your friends and family with paintballs on the elaborately laid-out field. First timers will be taken through a step-by-step checklist to ensure they get the most out of their experience while paintball veterans can have a field day. There are several events held at the Shack throughout the year including Zombie Paintball as well as their Halloween celebration which lets you on the field in costume. Having been open since 1941, the Swiss Restaurant is one of Santa Maria’s most praised dining establishments. The famous lounge is the perfect setting for a meal of any kind, no matter if you’re on a romantic date with your significant other or if you’re out with business execs you’re looking to impress. You’ll be able to indulge in a delicious array directly off of their Red Oak Pit including their House Specialty Prime Rib. Other entrees off the pit include BBQ rack of lamb, baby back ribs, pork chops, steaks, and chicken breasts. The great food at the steak house is only made better with excellent cocktails and mouthwatering desserts. 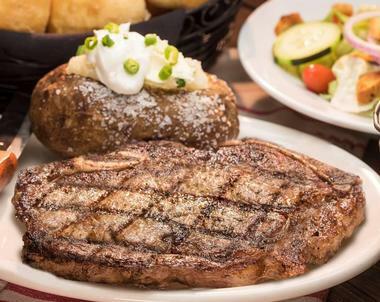 At Cool Hand Luke’s Steakhouse and Saloon you can enjoy a taste of the west at “the coolest joint in town”. You can escape into the rustic West at the first-rate establishment and relax as you enjoy a feast like no other. 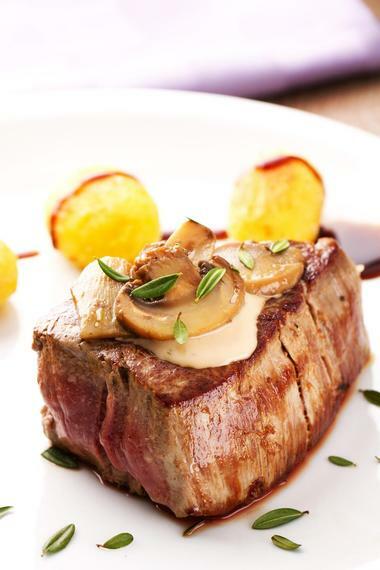 Popular starters include their “Pale Ale” battered artichoke hearts, seared ahi tuna, and the sizzling steak bites. The choice of delicious entrees is endless and diner favorites include the slow-roasted ribs, fire-grilled barbecue chicken, steakhouse cobb salad, BBQ tri-tip sandwich, and the chicken club made with tender chicken breast, sliced avocado, thick bacon, and Monterey Jack cheese. 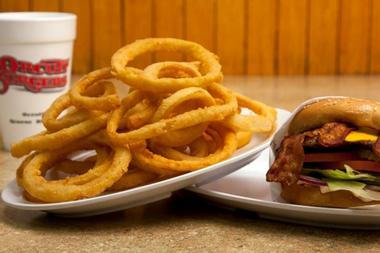 Known for their extensive variety of traditional American foods and their unique offering of specialty Greek dishes, Orcutt Burgers is famed in the Santa Maria Valley for serving delicious foods. The locally-owned establishment first opened in 1998 and is the perfect place for a meal with family and friends. The always-fresh cuisine keeps patrons coming back again and again, whether it be for a hearty breakfast, energizing lunch, or a delicious dinner. There are an endless number of burgers on their menu; popular choices include the double cheeseburger, turkey burger, salmon burger, chili cheeseburger, and garden hamburger. Add an order of fried mushrooms or chili cheese fries for the perfect meal.